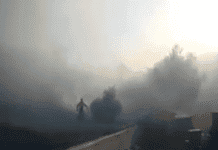 IN the region surrounding the town of Tivissa, firefighters continue attempts to put out an uncontrollable forest fire. A total of 89 firefighter units – 77 on land and 12 in the air – have fought against the blaze, which has already destroyed around 812 hectares of vegetation. 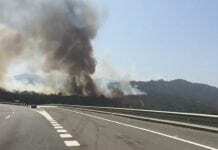 Efforts to control the fire have become more desperate as fears grow that the fire may begin encroaching on the Ribera d’Ebre town of Tivissa. Fifty-one people in 28 houses have already been preemptively evacuated. The team of firefighters is directing its efforts on the east side of the blaze in order to avoid sea breezes from fueling a more rapid movement of the fire towards population.